When I worked for Yahoo! Contributor Network from 2007-2014, I did few interviews, though found one favorite subject I returned to twice. It was the subject of public opinion, how it’s gauged, and what tools get used today to collect thorough information on what people think. My fascination with how the public has the ability to shape which politicians win, what movies we see, and what TV we watch led me to a company in Portland, Oregon that’s been testing this concept for years. Dialsmith has outstanding leadership with CEO David Paull, and when I interviewed him two separate times in the late 2000s, most of our discussion focused on politics. The reason is Dialsmith provides all those real-time public opinion tools you see on cable news after Presidential debates (including ones without Donald Trump). You’ve seen their tools used for numerous other purposes as well to determine what we collectively think of virtually everything. Dialsmith later branched out into sports, general marketing, and now deeper into entertainment. Since this blog is exclusively devoted to all things entertainment, I thought it was overdue to explore more than just talking about movies and TV a couple times a month. With my third, new interview with David Paull at Dialsmith, you can see how the public is already determining what you’re watching on TV and the big screen. While the company has focused mostly on using their tools for TV research, you’ll see what other arenas Dialsmith’s tools are being used in, or will in the future. The possibilities are virtually limitless, from the field of Netflix shows to gathering public opinion on movies before they hit theaters. Q: Hi, David. It’s been about five years since our last interview, and while we talked about political public opinion last time, I remember us bringing up the possibility of Dialsmith’s tools gaining more public perceptions on entertainment. Now you’ve done it recently in several instances using your Perception Analyzer. Can you explain what that device is and how it works to those reading about you for the first time? A: Hi, Greg, and thanks for having me back. It’s true that our tools are well known for use in political and public opinion research. Over the years, CNN has featured our Perception Analyzer dials on-air during presidential debates while well-known political consultant and pollster Frank Luntz and others have used them on FOX News, CBS News, and more. Beyond politics and public opinion, we work heavily in market, media, academic, and litigation research. For those unfamiliar, the Perception Analyzer is a research technology developed by my company Dialsmith for collecting real-time, in-the-moment feedback from research participants. It’s rooted in the principle that people are not very good at accurately recalling what they thought, and how they felt, about something from the past. People are also easily influenced by what we call “groupthink” when asked to talk openly about perceptions and opinions. With the Perception Analyzer we’re able to get individual, unbiased, in-the-moment feedback that can be used for driving deeper and more substantive discussion in focus groups and other research sessions. Q: It’s interesting the Perception Analyzer is almost a pop culture phenomenon on its own with an appearance recently in ABC’s “The Muppets”, namely with Statler and Waldorf. Tell readers about other fictional shows the device has been seen on, and do you consider this almost a surreal form of meta? A: It was very exciting to see those grumpy critics on “The Muppets” using dials to quantify their constant displeasure! Our dials tend to pop-up in more documentaries and reality shows than fictional ones. They have been featured in a PBS documentary called “The Persuaders,” a Showtime movie about the election of Boris Yeltzen called “Spinning Boris,” and various reality shows including “Celebrity Apprentice,” “Food Network Star,” and the recent theatrical release “Our Brand is Crisis,” which is based on a political documentary where our dial were used in a focus group scene. Q: One thing I haven’t analyzed much here on my blog is TV (other than the late-night arena). I know the Perception Analyzer has been used for a number of years to determine public opinion on test pilot episodes. Now you’ve gone online with this tool as the networks change public perception toward being more immediate. Explain how this new online process works using online dial testing and how it’s helping networks shape their shows. A: For many years our Perception Analyzer dials have been used in live focus groups to test TV pilots for nearly every major network and cable channel. Screenings are done to test both characters and story lines in pilots before they air as well as in established shows as “maintenance” to ensure they are still resonating with the target audience. They are also used extensively for testing news broadcasts, segments, and on-air talent. To meet the growing demand for online research solutions, we have adapted our in-person dials in to an online slider that can be used to rate recorded media in surveys and online focus groups. Rather than putting people in a focus group room, we’re now also able to recruit participants to take an online survey or attend an online focus group. In addition to other survey questions, we can show them a media clips, ranging from 30-second commercials to 3-minute political debate clips to 45-minute TV pilots and everything in between, and have them provide the same moment-to-moment rating that was previously only available for in-person focus groups. This has had a huge impact in meeting tighter budgets and faster turnaround times. And, in side-by-side analysis of data from in-person dials and online sliders, the data have proved to be consistent and reliable across both methods. Q: Do you see most of your public perception tools for entertainment moving primarily to the online world (as with seemingly everything else)? I say this based on some mainstream networks soon trying out their own streaming services. A: That’s a good question. Each year, we are certainly seeing more and more of a shift to online and mobile research methodologies and I do expect that to continue. However, there is still a very valid benefit to in-person qualitative research discussions where you put people in a room, look them in the eye, observe their body language and work to understand what they think/feel and why. Because of that, we still have just as strong of a product development effort around advancing our in-person in-the-moment research tools as we do our next generation of online and mobile tools. Q: Speaking of the online world, you had an interesting blog post in September citing Netflix’s recent study about how viewers ultimately get hooked on a new series. As you noted there, it’s just the beginning of more discussions on the psychological factors behind what entices people to keep watching a show. How do you see your tools possibly discovering deeper insights into the viewer/Netflix show connection? A: Yes, a recent Netflix study found that the magic moment of getting hooked on a show happens during episode 4 of a Netflix series, citing that 70% of viewers who watched up through episode 4 ended up watching the rest of the season. However, most historical data on television viewing habits are based on the traditional model of releasing one episode per week. With Netflix, and other online streaming content creators and providers, releasing full seasons all at once, viewing habits are changing. What we don’t yet know is how those changing habits are impacting loyalty to a show. For instance, could it be that viewers feel less invested in a series that they can watch on-demand so they’re willing to watch multiple episodes before making their decision? We’re not sure yet, but it’s a very interesting and important shift that needs to be further studied and understood. Along these lines, our tools are used to help determine at what point in an episode viewers begin to lose interest. We have also added a “tune out” feature that allows research participants to indicate a specific moment when they would change the channel. Q: It’s great to see your opinion tools move into the realm of movie trailers this year. We all have different perceptions of film trailers. But tell readers about an online research study Dialsmith took part in last spring with a live audience watching summer movie season trailers. A: Earlier this year, we conducted a study with our online focus group research partner to uncover the DNA of an effective movie trailer. 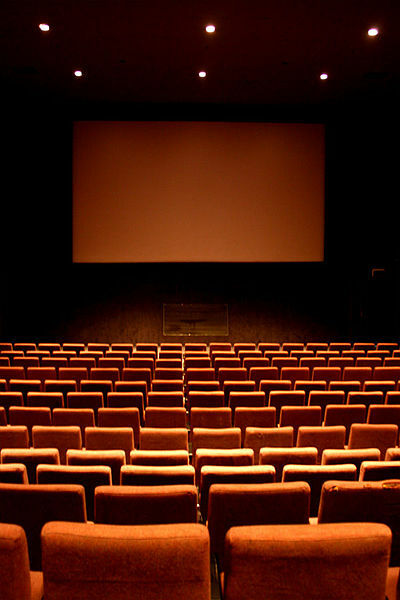 Trailers are very important to the success of a movie, especially the all-important opening weekend. Trailer editors have to find ways, in 60 – 90 seconds, to peak your interest, tell you just enough without giving away too much, and get you emotionally invested to the point where you’ll purchase a ticket. Through dial testing, and in this case online dial testing, we’re able to measure the moments of each trailer that hit or miss with the target audience, then use qualitative discussion to learn why and use those findings to advise clients on how trailers may need to be re-cut or in some cases re-done to better hit the mark. Q: You truly hit a new plateau with that new movie trailer study. Do you see your tools helping shape the movie industry to a point where we get better quality movies than what we’ve seen lately? A: Well, the quality of today’s movies are certainly a matter of personal opinion. One person’s “great” is another person’s “hate!” What our tools help any media producer do is better learn about their audience’s immediate in-the-moment reaction and peel back the layers to better understand why. We’ve seen results from dial testing focus groups and surveys result in re-cutting of critical scenes, completely changing storylines, and swapping out actors who didn’t connect with the audience. In the end, if research participants are properly recruited and screened, and the research study is well-designed, our findings can most certainly result in a better quality finished product. Q: As I asked in our last two interviews: Do you see your tools eventually being integrated in the home for a larger, real-time picture of how the public views entertainment (and politics)? A: I do. As broadband penetration becomes more ubiquitous and more and more people consume media on a mobile device, or at least with a mobile device in-hand, we will be working toward ways to capture their real-time, in-the-moment and moment-to-moment feedback as they watch and from wherever they watch. Can’t say too much more yet, but stay tuned for some cool things coming down the pipeline.